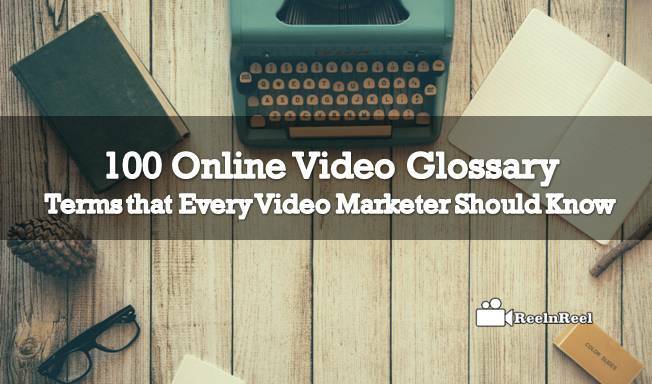 100 Online Video Glossary – Terms that Every Video Marketer Should Know. Getting familiar with the terms often used related to online video will help navigate the market. Here is the glossary that describes the terminology of online video. 25. Delivery of video content is achieved through different devices. 31. File size is measured in bytes, kilobytes etc. 51. Metadata can be advertiser name, eCPM goal, format etc. 72. Short form video length is less than five minutes. The above are some of the Online Video Glossary terms you may come across related to online video knowing which will be very helpful for the beginners.